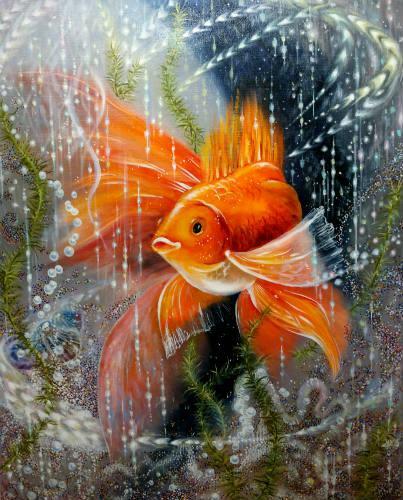 Gold fish - a creature with magical powers. The technique of "Shining" in which paintings are most definitely suitable for the transmission of the moment of execution desire. Painting can be a mascot as a symbol of luck, prosperity, abundance, fulfillment of desires and wealth.